Melbourne was and probably still is a predominantly Polish refugee influenced community largely due to the 2nd largest group of Polish refugees coming to Australia. We are all the richer for that wide tapestry of different components which, I guess Warsaw alone represented. I don’t remember the number, but the sheer volume of different views and newspapers and groups therein was just astounding. On the other hand we have had valuable refugees from the then Soviet Union who suffered also from the vicissitudes of the Holocaust and associated political atrocities committed there. Chabad, which is really a Lita (Litvishe) / White Russian movement that withstood the attempted erosion of Jewish identity in Russia was an early important element, but in more recent times many Russian Jews have enriched our community with their own contribution having escaped the so-called “Union” of Soviet Republics led by Stalin ימח שמו וזכרו. 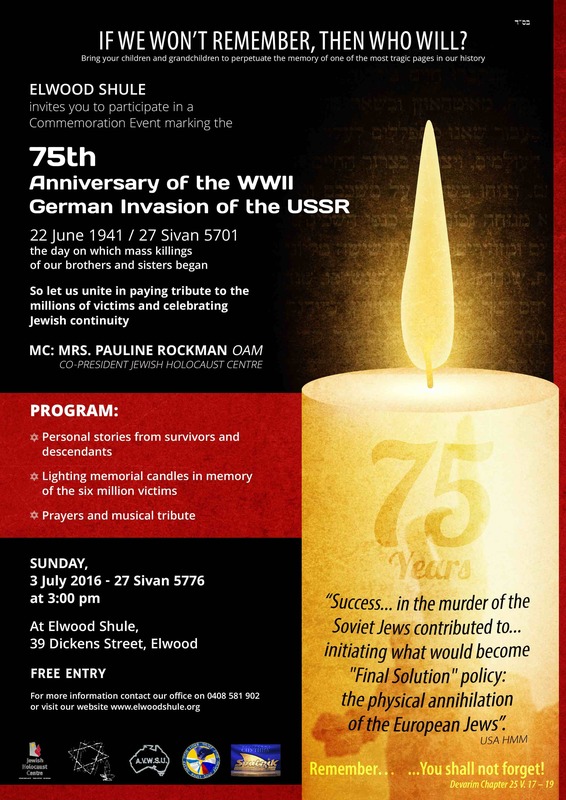 Due to the hard work of Mordechai Oyberman and others Elwood Shule is commemorating the 75th memorial and I attach the flier and encourage those who are able to attend. Whilst it’s a pity that we haven’t fully united in commemoration (save for Tisha B’Av which consumes us with Jewish tragedy over the ages) I think it’s important that Jews of all “colours” make an effort to offer Tfilla, Kaddish and Kel Moleh Rachamim for the holy souls consumed by the sub-human element that comprises society. What’s wrong with trusting Rav Ya’akov Emden? I was discussing a topic at Shule concerning why I wasn’t a regular purchaser of Hamodia. He asked me what I didn’t like. I suggested that I always felt like I was reading Disneyland when I read Hamodia’s description of any living or departed “Gadol” from yesteryear. Sure, I’m known to be a cynic. That’s different from being cycnical per se and is probably the wrong word in context. Being a cynic is probably a precursor or post effect from being a scientist of sorts. I have found that I see or notice things some do not. That’s unlikely to be a brain thing, but rather a training thing. I’ve been taught for so many years to dissect each word and scrutinise what’s written it’s invaded by mode of processing information. It’s a good invasion. those who have either experienced a bad incident or whose mind is too fertile to ignore the truth when they eventually discover it, either through interaction with a library, the internet, work and plain life and choose to leave the world of their parents and are banished and shamed as a result. I’m reminded of a story which Mr Sperling of Elwood Shule used to tell me every Yom Kippur (in the days when Elwood had characters). In Yiddish he would relay how his father was very frum but his sons ranged in their frumkeit. One brother was completely not religious and was a card carrying member of the Communist party. This was not as uncommon as many people would have you believe. Yet, on Kol Nidrei night he had respect for his father and stood with all his brothers alongside their father. When the Chazan genuinely started saying (no choirs, organs, guitars and all the shticks people use today) Or Zarua LaTzadik אור זרוע לצדיק the communist boy’s leg went into an incontrollable shake. Mr Sperling used to rib him in the elbow each year and say “Nu, so you discovered God one night each year and you tzittered (trembled with awe) because your let always gives it away”. To be sure, choosing what to expose one’s kids to it’s a delicate balancing act. It is one each parent and School considers. There are extremes and middle grounds and hilly grounds. There are a number of Schools that censure text books or story books or censor these in part. Do they think that the kids don’t notice glued pages or redacted texta? They do, and in many cases it makes them want to see the original so they know. People have a thirst for knowledge. The key is to quench the thirst in a meaningful way. Does anyone believe all the non Jewish books in the famous Lubavitch library fell in by carrier pigeon? Defining what a “meaningful way” is complex. To give a comparison: It isn’t meaningful for anyone to give lower precedence to Tzniyis, be it for a male or female. At the same time, when one introduces laws (especially for women) that make them uncomfortably hot on a summer’s day, one really is using up מסירות נפש for the secondary, and not the primary. I’m not of course suggesting they prance barefoot in the gardens in white on Tu B’Av (would any Rav allow that today?) watched on by potential suitors. Yes, males and females should keep the עיקרים of Tzniyus. In terms of חומרות however, it is a very brave person who can pretend that their entire Kehilla are בעלי נפש people who are quietly and surreptitiously מחמיר on themselves across the gamut of Torah. ָAnother example: we’ve over focussed on the claim that there can be nothing can be good in secular studies (unless you make a quick buck thereafter). This is simply untrue. Many of the greatest Rishonim and Acharonim disagreed. So you will say, yes, but that’s because they were on a Madrega, and we are not. I will counter that aside from the study of philosophy, where one would really need to be a learned בעל מדריגה if they were to cope with it, most University studies actually perform the side effect which allows one to see just how much צלם אלוקים they own. It is almost a פרוזדור to the real world, but one where you are learning as opposed to being bossed and working for someone else. You aren’t about to encounter כפירה if you study accountancy, computer science, law, medicine, architecture, mathematics, and much more. And if your bent is biology and those sciences, you would do well to be well acquainted with Rabbi Natan Slifkin’s books, as well as his interlocutor Rav Moshe Meisselman, beforehand. You will be equipped. I’ve seen kids grow in their Yiddishkeit בדווקה because they are exposed to the חושך and are much more able to discern the אור and radiate within it and grow. I remember the days when just about every Adass graduate who didn’t join their father’s business, went to Prahran Tech (as it was then known). It was normal. They used a short series of English names: George and Peter made up over 50% of them. (I will never understand how Hungarian Adassniks of yesteryear and today chose Peter of all names!). I think that was the Adass of the Germans and Oberlanders. Today it’s the world of Chassidim. It is with this that I come to Rav Ya’akov Emden who is universally acclaimed as an outstanding Talmid Chacham. The son of the famed Chacham Tzvi, he didn’t need to even come second to his father. His entire mantra was truth which is why a healthy dose of skepticism had him at loggerheads with R’ Yonasan Eybesheutz. Most will never be told that he wrote an auto-biography. That of itself tells you lots about the man and that he did what he thought was right; not what others were doing “as right”. That Sefer is known as Megilas Sefer. I believe there have been three editions. Why so many editions? 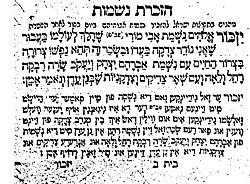 Of course, the answer is that people “greater and holier” than Rav Ya’akov Emden censored the Ya’avetz (as he is known) because “it was the right thing to do” and never allowed the whole thing to be printed. I mentioned it a while ago in a learning hall and one צורבא דרבנן contacted me privately and asked if he could borrow my new english translation. I left it for him to pick up, and I assume he will read it and eventually give it back. Alas, many of my Seforim go walk about because I rely on a faulty memory and end up blaming myself for misplacing. Why do I write on this topic? Well, we have the “going off the Derech phenomenon”. I’ve read at least one wonderful book on that topic. I don’t believe that the problem is with the kids. The problem is with us. How much אמת do we exude, and when we do, how much אמת do we hide when we don’t allow them to also see חכמה בגויים תאמין. There isn’t one answer. There is a multifaceted approach, and its starts with every kid. They see our faults and they see what’s important to us. Their respect for us and יהדות stems largely from this. I’m reminded of a story, when then Prime Minister Begin used to come to the USA he visited the Rav, HaRav Yosef Dov Halevi Soltoveitchik (warning: anyone who calls him JB (especially Lubavitchers) don’t say it near me because I will give you a severe tongue lashing) because Begin’s father was R’ Chaim Brisker’s Shamash (some will try to change this fact, of course). Once Begin felt he wanted to discuss world politics and bounce his views off the Rav. He emerged from his meeting of an hour shaking his head. They asked him “how was the meeting” and he said “this man deeply knows as much if not more about Israeli and American politics than I did”. The Talmidim asked the Rav how he knew such things. He answered that the prime lesson he learned from his Zayda, R’ Chaim Brisker, and his father R’ Moshe, was: reading the lines of anything be it a Rambam or a mere newspaper, was only half the work. One had to work out the line that was missing that wasn’t written. Consequently, when he read the paper, the Rav used to intuit that which was purposeful elided by reporters and editors and then work out why, and based on this and his genius, develop a view on what the Emes really was. That reminds me of another story. In the days I went to Bombay, Rav Gavriel Holtzberg הי’’ד had one of those questions. None of the remaining Iraqi Jews were Cohanim, and the Bene Yisrael had no Cohanim (especially if you believe they came from another lost tribe). In fact there were no Leviim either. One day, there was an Israeli guy, frum, who was a Cohen (I often had to Duchen on Shabbos and learned the Baghdadi chant by imitating the B’aal Tefilla). The Israeli took of his sandals and the oldest Baghdadi Jew took offence, saying how can one Duchen in bare feet. There was a back and forth, and this Baghdadi Jew who was normally very quiet (he has passed on now, and I have fond memories of his Middos) said they should not have Bircas Cohanim if the Cohen wasn’t wearing socks. Rav Gavriel in a stroke of genius suggested that the Baghdadi Jew give the Israeli Cohen his own socks and the problem would be solved. I will leave the rest to your imagination. We’ve been taken in by the פרט or purposely erased it. Author pitputimPosted on September 30, 2015 October 7, 2015 Categories Agudas Yisrael, Belz, Daas Torah, Degel HaTorah, Satmer, Skverer, TzniusTags Chumoros, Elwood Shule, Hamodia, Ikkar, Rav Gavriel, Rav Gavriel Holtzberg, Rav Mendel Futerfass, Rav Yaakov Emden, Tafel3 Comments on What’s wrong with trusting Rav Ya’akov Emden? This may be relevant only to the dwindling number of members at Elwood Shule. Our family has been associated with Elwood for 60+ years. My father ע’’ה was Vice President and a very long-term board member, as well as regular mispallel. I joined the board several years ago, and functioned as the Ba’al Tefilla on Rosh Hashono and Yom Kippur for many years. I accepted the role of leading Musaf and Kol Nidrei the year prior to the untimely death of Chazan Levy ע’’ה, the Shule’s last, full-time Chazan, in the year before he passed away. He then passed away on Rosh Hashono itself. I worked assiduously at Board Level, and oversaw and edited the updated version of the constitution and assisted in the unfortunate but necessary legal fight for survival with our tenant. I was involved at many other levels. I came to the conclusion, some 6 months ago that my tenure as a board member was no longer tenable. It had preyed on my mind for longer, but only emotional ties kept me going. I will not use this blog to discuss a range of issues that contributed to my decision. I later resigned from the board, as did three other board members, and of course, my father passed away, thereby making the board four fewer people than when it was constituted years earlier. When I informed long-term President Fred Antman that I had finally resigned, his comment was that I should have done so long ago, for reasons I won’t go into. He had encouraged me to resign many times and said my father would have told me the same. Elwood is at a cross-road, where it says goodbye in the next years to Rabbi Mordechai Gutnick, and welcomes a new Rabbi. Rabbi Karnowsky, the outreach Rabbi is assuming some of Rabbi Gutnick’s functions. Rabbi Karnowsky has a documented plan of what he was going to achieve as outreach Rabbi when he joined, and I assume remaining members of the board express a level of confidence in his achievements thus far. Years ago, It was long-term President Fred Antman, who prevailed upon me, literally tens of times, to assume the function of Ba’al Tefila for Yomim Noroim. I also stepped in as needed on other occasions, willingly. I did not and never wanted to be the Ba’al Tefila. To be honest, I know my personal imperfections, and never felt worthy of representing this (or any) Kehilla. My children know too well, how, after members of the Shule passed away later during the year, that I took it personally. I might arrive home on Shabbos with bloodied knuckles and in tears or sloshed because I considered that Hashem had not listened to my prayers of מי יחיה or מי ימות and that this was due to me not being up to the spiritual level required to be a Ba’al Tefilla (or Chazan). I felt I wasn’t listened to and that my prayers were vacuous. I was blessed with a good voice. This is not my achievement. My father ע’ה sang in the choir in the Rawa Mazowiecka Shtiebel with the Amshinover, R Zishe Shochet הי’’ד. My mother’s father played violin (as do I). These are not my achievements, they are some of Hashem’s Brachos. A great source of personal happiness was descending the steps after Mussaf on Yom Kippur and spontaneously dancing with “Gandhi”, R’ Yossel ע’ה, a Buchenwald boy, as he was affectionately known. Of course, there was the scene of some 15+ Balbin offspring males sitting around my father on Kol Nidrei night, after he had carried the Torah during Kol Nidrei which I had intoned, and my father’s occasional glances at me. Upstairs a similar contingent of Balbin female offspring were present. My sons have beautiful life-long memories of walking with me and Zayda through thick and thin on a Shabbos (my father was, together with Rabbi Gutnick and Viggie Aron the only three people who walked a real distance on Shabbos to get to Shule and actually kept Shabbos). Nowadays, on Shabbos, Viggie only comes for layning, and Rabbi Gutnick mainly for Shabbos Shachris. I vividly recall some feedback one year. I didn’t seek feedback. If proffered feedback I was happy to hear and sometimes listen. One man, whose face I knew, but whose name was not familiar, asked me why I kept stopping and starting during הנני העני ממעש. He sat in the front area, so he could presumably see my face, although I wear a Tallis over my head, as opposed to the more German style ecclesiastical headwear. Returning to the story, I couldn’t believe that this man hadn’t noticed that I was unable to resume my comportment at certain phrases, and often struggled not to weep. I am not talking about the iconic Chazanishe Krechtz or an “Oy yoi yoi” punctuated with a perfectly timed trill as choreographed according to the score (or iPod recording). I am talking about raw emotion. Now, recall that I resigned from the board months before the High Holidays. In my letter of resignation, I also made it clear that the board should not feel encumbered in any way using my services as Ba’al Tefilla. I asked only that they inform me as soon as possible whether they required my services; a reasonable request. 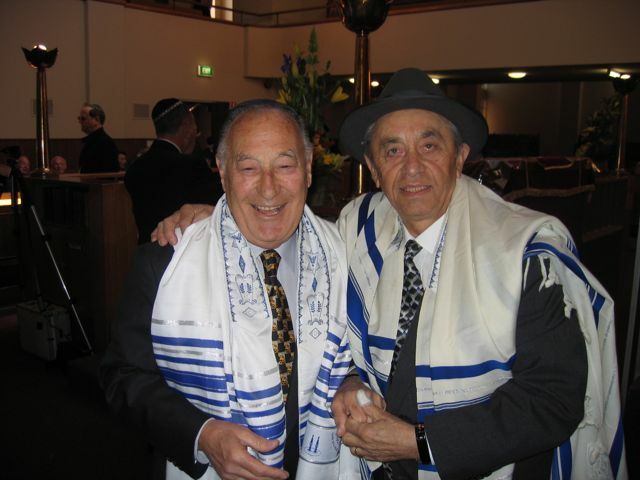 Unfortunately, I was to find out that Mark Oyberman had asked around for people in Melbourne available to replace me, after which they settled on Shimon Wallis. I actually wrote to the board to confirm this as they had not communicated they were even looking let alone that they had already made a decision! Shimon has a fine voice, and his Nusach is derived from his grandfather ע’’ה, whom I enjoyed listening to on his rare visits. He was a Ba’al Tefilla with an authentic Yerushalmi Nusach. I wish him success. What prompted me to post this article, was an Elwood promotional video I saw yesterday. I genuinely feared that some might assume that my absence from Shule was due to this new appointment. Nothing could be further than the truth. I kept a seat at Elwood. I will hopefully be able to daven quietly and with some purpose this year. The reasons for my resignation as a board member are seemingly as valid now as they were then, and they will not be discussed in this blog post. Yizkor—is it dead and buried? The saying of Yizkor, apart from Yom Kippur (which is mentioned in the Medrash Tanchuma), is a more recent custom. It became part of the Ashkenazi liturgy probably during the time of the crusades in the 1400’s. The Rabbis specifically instituted it to be (outside of Israel) on the second day of Yom Tov. Why not the first day of Yom Tov? Clearly it was felt that by setting it the second day, this would encourage those who were vacillating about whether to attend the service on the second day to do so. Of course, Reform (who like to consider themselves and call themselves) progressive, just dismiss the second day of Yom Tov and banish it to an ordinary day no different in “holiness” to a non-Jewish ordinary day. There is no requirement to say Yizkor with a minyan of ten males (or females I guess if you are Reformed). We don’t say Kaddish at Yizkor. It is a moment of vocal and silent contemplation during which one lists those who are to be remembered in one’s family and give charity in their merit. There has always been a disagreement as to whether someone whose parents are alive leaves the Shule during Yizkor. Our family Minhag (like many) is to never stay inside during Yizkor if one’s parent(s) are alive. Over time, special extra Yizkor prayers were added for those who were murdered during tragedies such as the Holocaust. Jews of Sephardi origin never had the custom to say Yizkor, except on Yom Kippur. They were less influenced by their neighbours and I surmise their Rabbis didn’t need to insert Yizkor in order to cajole them to come to a Jewish service. They came anyway. In truth, the first Yizkor (after my father ע’’ה) was on Pesach this year. I was planning to attend Elwood Shule, however, I was asked to make up a minyan (and be the sole Cohen for the priestly blessings) for someone who was too ill to attend Shule, and I said Yizkor in his house. My second Yizkor, the first in a formal Shule, was to be Shavuos, and I was planning on attending Elwood Shule again (my father’s Shule). However, I have bouts of plantar fasciitis which occasionally flair up, and had been at the Orthotist on Erev Shavuos because it had caused me pain. I went to Yeshivah Shule, which is closer, as a result. I stood there, while the Shule was engulfed in silence, each person uttering their personal Yizkors. My father used to daven there in the evenings, and had a seat there as well as Elwood. Strangely, I was not moved. I had been more engrossed in refamiliarising myself with Megillas Ruth! I (over) think about my father regularly, either with tears, memories or laughter. For some reason, I could not focus at that ordained moment to make it especially meaningful. One of my sisters undertook the very long walk to Elwood Shule specifically for this reason and came away quite sad. She mentioned that the Shule was morgue-like, with barely anyone in the women’s gallery and the same few familiar faces in the men’s gallery. She commented that Rabbi Gutnick had spoken well, but that looking at the Shule, she couldn’t get over a feeling of gross cavernous emptiness. It suited her mood though, and her Yizkor wasn’t mine. There is a custom to say Yizkor at the Shule where a parent used to pray. These days most Jews don’t come to Shule on the first day of Yom Tov. You’d be lucky if they even said Kaddish on the day of the Yohr Tzeit. Perhaps they light a candle at home, I don’t know. Ironically, they went to Jewish Schools, and know what’s required. They aren’t complete ignoramuses. They are caught up in new-age Hedonism or “Tikun Olam”. Even Yizkor seems to have lost its attraction to a generation that had and has no trouble accepting a financial inheritance, but plenty of trouble making time in a day to attend Shule and say a prayer like their parents, for their parent(s). Perhaps I’m over-harsh. It’s not the first time my blatant honesty has been interpreted as harshness and even offence. That’s just too bad. I call it as I see it. Word games are for U.N. Diplomats. They achieve nothing. Oslo accords anyone? It’s so very sad but remembering is part of a much bigger picture. That picture has now been dumbed down and recreated in the image of modern fun events. Kids seem to come to Shule on the first day when you offer them ice cream. Great. Perhaps the second day should be “Whisky day” for the adults? It’s all very nice, but it isn’t Jewish Identity unless it leads somewhere. There can be no Jewish Identity without solid authentic Jewish Education, and I do not include the University style study of History, Poetry or the Arts in that category. Yep, you heard me right. If you dumb Judaism down, reduce it to clichés or the spiritual, and over focus on the experiential and don’t achieve follow-up there is nothing to hold the house up in the future. That’s my view. Take it or leave it. If you are offended by my observation, do try to focus on the fact that my intention is always to call a spade a spade; and yes, some are offended by that. מה אפשר לעשות. Author pitputimPosted on June 6, 2014 Categories Aveylus, Education, Holocaust, Jewish Education, Shavuos, Yom TovTags Elwood Shule, Jewish Identity, Jewish observance, Yeshivah Shule, Yizkor, Yom Tov17 Comments on Yizkor—is it dead and buried? 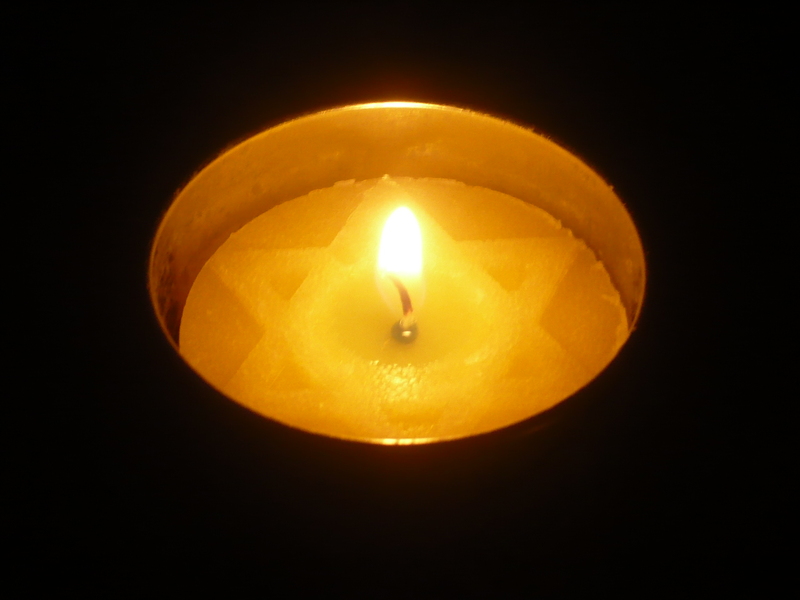 Les Erdi passed away a little over a week after my father, הכ’’מ. I knew Les Erdi as a little boy in Elwood Shule, over 40 years ago. He was different. The Shule was basically made up of Polish holocaust survivors, and he was one of a handful of Hungarians. There was and remains some antipathy between Hungarian and Polish Jews. The Poilishe Yidden were essentially snobby to the Hungarians and vice versa. In Elwood, the Poles held the upper hand. They were culturally apart. Polish Jews never spoke anything but Yiddish in Shule whereas Hungarians seemed to converse in Magyaro. The so-called “frumer Hungarians” immigrated to Melbourne and settled in Adass and Ripponlea. The founding fathers were moderate, but their grandchildren are fundamentalist charedim, and often rabidly anti-zionist. My father complained that they wouldn’t greet him in his street, let alone say Good Shabbos. Sydney, however, absorbed the “other” Hungarians, some of whom came from traditional homes, but most of whom were more remote from practical observance. On the other hand, the Sydney variety were staunchly Zionist. I know I am generalising. There are very special exceptions. Les was somewhat like a Sydney-style Hungarian residing in Melbourne. Les wasn’t just a typical Hungarian, though. Until the last day I spoke to him, he presented a thick and broad Hungarian accent which seemed immovable, and like Les, refused to moderate over time. Despite being a busy businessman, Les never lost that severe Magyar twang. His wife, Eva, may she live healthily until 120, also exhibits that strong accent. I wanted to visit Les when he became rather ill, but was advised that he didn’t want visitors. You must respect the wishes of a sick man, and so I stayed away. I also understood his reasons, knowing the man. He was a powerhouse, and that’s how he wanted to be remembered. Yet, despite the HungarianPolish divide Les was a landsman. How so? Les was a Cohen, and as long as I can recall, when the President and Vice President of the Shule descended the Bima immediately before Bircas Cohanim, Les would walk up the stairs to the Bima and stand alongside my father, both leaning their siddurim on the little table vacated by the President and Vice president. I was a young man, then newly married, and at that time didn’t serve as Chazan for Rosh Hashono and Yom Kippur. I was enveloped in my own davening, and would commonly daven Shmoneh Esreh on Rosh Hashono/Yom Kippur for 40 minutes or more. I was remote by nature, intentionally oblivious to the surrounding and somewhat of an intolerant “frumak”. I didn’t engage much. It could have been seen as haughtiness, but that wasn’t what it was. I recall that upon returning from learning in Yeshivah in Israel, I approached the then President, Mr Mottel Roth, and in front of others on Yom Kippur between Musaph and Mincha (much to my father’s shock and horror) asked Mr Roth how he could conceivably remain the president of an Orthodox Shule when he drove every Shabbos. I suggested Roth should resign on the spot. I was young, very black and white (perhaps more black than white), and didn’t engage my mind before my mouth. I mellowed over time, and continue to do so. I grew to love each and every one of those “Poshei Yisroel” (“sinners”) after I came to the stark realisation that I was not ever even remotely in a position to understand their life experience. I had enjoyed a closeted, altruistic, and somewhat untroubled life full of opportunity. These Poles and Magyars eventually ceased to be Poshei Yisrael in my blinkered view. Each one of them morphed into a precious jewel, a Kadosh, a holy person. Rabbi Chaim Gutnick was right: anyone who walked into a Shule after emerging from the furnace of the Holocaust was someone about whom one should treat with awe and derive inspiration. Over time, my sons, first Tzvi Yehuda and then Yossi, came up to Duchan with me and my father. Yossi used to stand next to his “mate” Mr Hoppe ז’ל but Tzvi Yehuda stood with me, right behind Mr Erdi and my father, הריני כפרת משכבו. Some of my more sensitive and charitable feelings rubbed off on my sons, and I’m pleased that they never developed my Charifus, and only had kind, meaningful and friendly interaction with this special brand of Jew. Les surprised me. He would always engage in philosophical discussion. He knew I was an academic and that I was religious, and loved to lecture me that he had a unique one on one relationship with God. He felt privileged and blessed that he had survived, and wore the responsibility to proudly behave like a Mench in keeping with the (obviously traditional religious) education he had received in Hungary. Les truly believed that he had a personal and unique dialogue with God, and that any success he enjoyed was because of his partnership. His partner was God! Yet, despite these clearly religious undertones, he wasn’t what you’d call a dramatically practicing Jew. Who can forget when Les’s loving wife Eva was seriously ill. Les was due to receive an Aliyah as Cohen on Rosh Hashono so that he could make a special Misheberach for her. Les was late. We had just put away the Torah. Panting, he ran to Rabbi Mottel Gutnick, and asked if there was a way to still make a Misheberach for Eva. Of course there was a way, and we readily obliged. Les was relieved. Despite wondering why God had hidden his countenance during the Holocaust and failed to personally interfere with the Nazi scourge, Les knew that God was now with him, and that God still had a say over his wife’s health, and not just his own business success. We don’t need to extol Les’s incredible sense of charity. If he believed in a cause or a venture, he was there. He had deep pockets, and was acutely aware that he had to leave a legacy and make a difference. I noticed a strange array of people at his Shloshim, and it was suddenly clear to me, that Les must have supported some of their causes. He took a micro interest in every aspect of his Tzedaka projects. He wasn’t simply an observer who wrote out a cheque for the inevitable plaque or honour. He had a keen and ongoing interest in what transpired and was achieved. Les was a mench. I am sure this came from his home, parents and education. His desire as a survivor was to have an honest relationship with God. Les felt he has been spared, and must have been spared for good reasons. In one of his early business ventures as a migrant, Les manufactured suits together with his then partner. Managing to lay the golden goose, Les procured an order for those suits from the coveted “Myers” company. I remember my father also gloating when he got orders from Myers. It was always seen as a major achievement: the competition was ferocious amongst the Shmatte industry. The Myers family was an older pre-war Jewish family. Les visited the Myers store and noticed that the suits he had supplied didn’t contain the requisite component of wool that he had promised as part of the order. Les apologised to Mr Myers, and offered to replace the suits. Mr Myers responded that the suits were just fine, and that he had already sold most of the stock, and that he was sure that Les’s next batch of suits would have the correct wool content. Les argued. He was not averse to arguing. and said that he had not done the right thing, and would like to reimburse Myers for the difference. Mr Myers again dismissed Les’s entreaties, and suggested Les forget it. Les was not one to take no for an answer—ever. Returning to his partner, Les suggested that they pay Myers the difference. Les’s partner was taken aback, arguing that the buyer was Mochel (happy to forgo the difference) and there was no good reason to pay money for “nothing”. Les did not react kindly to this suggestion and promptly dissolved the partnership, and paid Myers the outstanding amount. I’m told that Les then went on to succeed and his ex-partner languished in comparison. Who would behave with such moral virtue? Even more: in those days, when every cent counted, as new migrants tried to rebuild their lives, who would have blamed someone for not returning the money? Les Erdi was a bastion of charity and business ethics who refused to adopt a lesser ethic, irrespective of his circumstance. I found it difficult to engage Les meaningfully in our philosophical discussions. This was not because I was stuck for words. Rather, with Les, one couldn’t get a word in edge-wise. Furthermore, Les “just knew”—everything. He was sure that his relationship with God was something special and his job was to tell people about it, and not to ask for their comments or critique. As a benefactor to Elwood, Les and Eva were notably giving but I think the aspect I will miss the most is that heavenly scene on Kol Nidrei night. I customarily stand nervously and with trepidation on the middle of the Bima, ready to intone the ancient “Al Daas HaMakom”. Before that happens the elderly Cohanim are given the honour of each taking a Sefer Torah up to the said Bimah, standing on my left and right. As they got even older, I was careful to make sure that people like Les and my father הכ’’מ were always close enough so that they could lean on the Bima with their Toras, given their now waning strength. Alas, this year, neither Les nor my father will be near me in that physical sense. There will be a palpable vacuüm. I don’t want to think about it now. Les didn’t have a good voice, but I can still hear him accompanying me to “Venislach Lechol Adass, B’Nei Yisroel” in the time-old Nusach of my teacher Chazan Adler, albeit with that distinctive Hungarian accent. It won’t be easy. May he be a מליץ טוב for all of us. He has no idea I am posting about him. I’ve seen him at Elwood Shule for many years, but have known little about him. He sits in the back of the Shule, about ten rows behind us. His name is Mordechai (Mark) Oyberman. 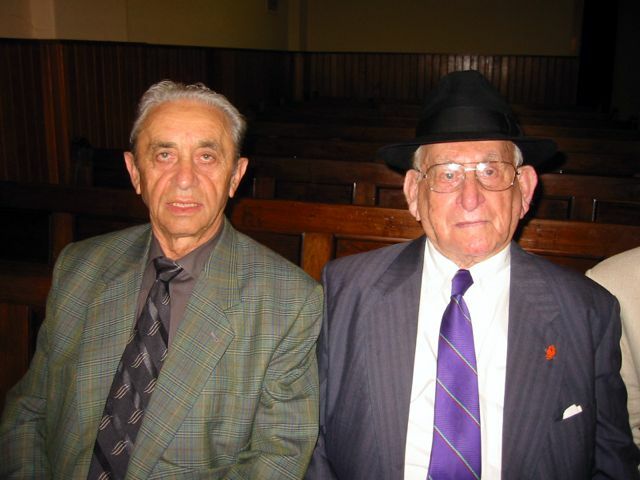 A Russian Jew who immigrated to Australia from the Soviet Gulag, Mordechai was forced to add the surname “Borisovich” to identify him with his father. Mordechai and the Oyberman family are committed to Judaism. He attends Elwood Shule for Shachris, Mincha+Ma’ariv each and every day. He is one of the last, if not the last to leave the Shule. For many Russian Jews, reading Hebrew is a hurdle especially given that they weren’t lucky enough to attend a Jewish School, like Mount Scopus or similar. If you are middle-aged when you are finally exposed to the brand of free Judaism in our democratic Australia, the task is that much harder. Mordechai doesn’t cut corners. With a Russian/Hebrew Siddur perched on his paunch, he assumes a slow and determined sideways swagger, otherwise known as “shockling”. Each word is pronounced lovingly and slowly; but not without difficulty. Mordechai cares enough to ascertain whether at all times he is saying the correct prayer for that time of the year. Yesterday, on Parshas Ki Tavo, Mordechai blew me away. I assume it was the anniversary of his Bar Mitzvah Parsha. I also assume that he never enjoyed a formal Bar Mitzvah in the way we know, and it was unlikely that at 13 years of age, he recited Maftir+Haftorah in a Shule. I do not know if Mordechai has done this before, but yesterday, he was called up for Maftir. I was taken aback. Sadly, there are not many at Elwood who can navigate the Haftorah at will. This task is usually rotated amongst Rabbis Gutnick, Karnowsky, Aron and myself. Mordechai acquitted himself with great aplomb. Confident, and with no apparent reticence despite the larger than usual attendance, he sang at “the top of his voice” faultlessly and meticulously reciting the Haftorah. The scene certainly moved me, and in his sermon, Rabbi Gutnick felt likewise to the extent that he mentioned it explicitly. This might seem like a trivial observation, but it is not. 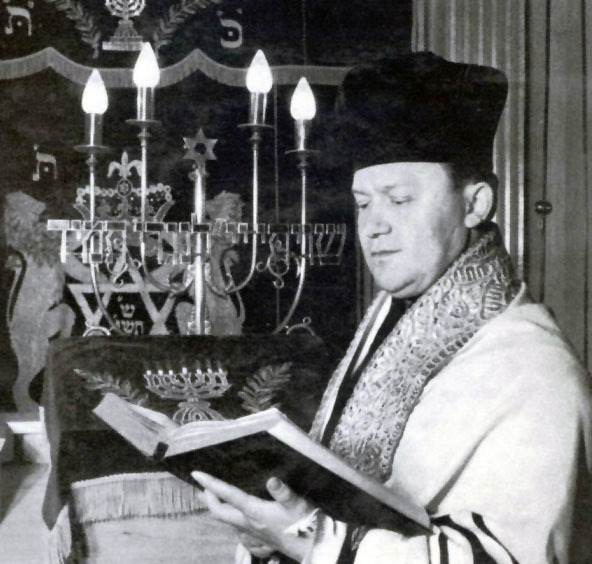 He and his wife’s determination and fealty to our religion, translates not only in deeds, but in tackling a hurdle that a Jewishly educated Bar Mitzvah spends almost one year perfecting. This was a humbling experience. Many of us fought hard to free soviet jews. When liberated the toxicity of freedom adumbrates into assimilation. When someone grapples to hang onto each vestige of our religion, we should exult. In the month of Elul, preparing for the long day of Judgement, this was a perfect lead in, a segue if you will, into the High Holidays. Hats off to you, so to speak. In a previous post, I mentioned that the truth will come out. I will resist the temptation to be more expansive and limit myself to incontrovertible cold facts. Do not ask me to expand on these as I don’t wish to reignite. Rather, my intention is to go on the record so that rampant misinformation doesn’t permeate. Below, ETTC stands for Elwood Talmud Torah Congregation (Elwood Shule). YHT stands for Yesodei Hatorah College, as led by Messrs Lipkies and Casen, on behalf of their board. Fact: ETTC tried for a number of years to conclude an ordinary long term lease for YHT based on reasonable commercial rates. Fact: ETTC supported both the original establishment of the School and provided a most favourable rental fee for use of ETTC buildings. In fact, YHT paid no rent for many years, and when they later agreed to a nominal rental of $20,000 per annum in return for providing regular mispallelim for ETTC’s daily minyanim, YHT failed to honour this commitment. The bottom line: when compared to normal rental fees over the years, ETTC has supported YHT to the tune of more than 1.5 million dollars. Myth: ETTC should have offered a better deal to YHT when discussions about a more permanent lease began and none of the litigation from YHT would have transpired. Fact: YHT brought the legal proceedings against ETTC and ETTC was obliged to defend itself. Fact: YHT hired arguably the most expensive and high-profiled QC in Victoria who eventually unearthed a technicality that questioned but one aspect of Goldberg’s findings. ETTC had no choice but to defend itself once more. Fact: ETTC will recoup over $2m in rent as per the new lease which will more than cover its costs and provide a much needed injection of fresh income for new projects to reinvigorate the Shule. Fact: ETTC hopes that relations with YHT will be harmonious and is very sad that YHT sought the action that they did and that they chose to reject a deal put on the table by the current ETTC board which would have seen YHT with a much better outcome than what transpired. Disclaimer: I am a board member and long-term member of Elwood Shule. This post, however, was not approved of by the Board and is not to be seen as representing anything but my own summary. 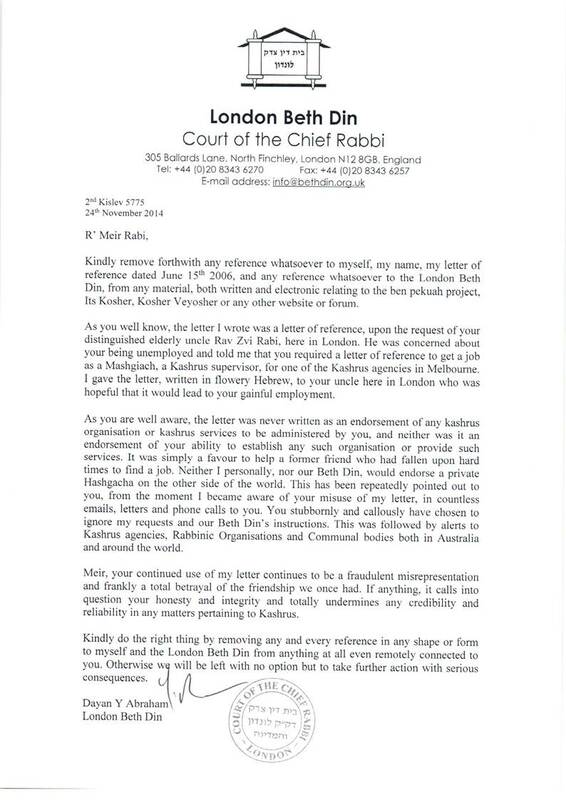 Various sprinklings of disinformation, sock puppeting and outright lies find their way across the internet about the court case where two individuals from the governing “board” of Yesodei Hatorah College (YHT), took Elwood Shule to court because they didn’t like the Arbitrators ruling . The Arbitrator was an eminent Judge and QC of the highest rank who ruled against YHT and ordered it to pay Elwood’s costs. That’s not to cast aspersions on the School itself and its educators, who I understand do a sterling job, especially for children who have challenging special needs. There is definitely a place in our community for an American style Aguda school. Ironically, it was those two members of their “board” who insisted that all matters be kept secret. Elwood never entertained such secrecy but reluctantly had to sign on in order for Arbitration to proceed. We have had, and continue to have nothing to hide. Make no mistake: Elwood will not only survive this, but they will become a shining example to other communities through innovative programs that enfranchise those elements of the community who are the children and grandchildren and great-grandchildren of the fiercely Zionist Holocaust survivors who paid for and built every brick of the Shule. In good time, with Hashem’s blessing, the real story about these two interlocutors will come out, and hopefully they will donate their money to the School and not lining lawyer’s pockets. We would be happy if, as per the Arbitrator’s ruling, the College goes from strength to strength in their eventual own premises and Elwood Shule is able to carry out its ambitious renaissance program, unencumbered and designed for its own membership. Watch this space when the dust settles. In the meanwhile, just don’t believe everything that you read. Disclaimer: I am a board member and long-term member of Elwood Shule. This post, however, was not approved of by the Board and is not to be seen as representing anything but my own private opinion. It’s Erev Yom Kippur. I’m at work. I’m finding it difficult to focus on work. It’s my Elter Zeyde and namesake, R’ Yitzchak Amzel’s ז’ל (Bogushitzer) Yohr Tzeit. Tonight, on Yom Kippur, is my Zeyde, R’ Yehuda Balbin’s ז’ל Yohr Tzeit. Elwood Shule will be pretty much full. Just before כל נדרי I’ll be sitting on the Bima saying תפילה זכה. Only this time, it will be different. My father sang in the choir in the Chassidishe Shtiebl in Rawa. The בעל תפילה (not a חזן wearing a pointy white hat not intoning an operatic performance) was R’ Zishe Shoichet. הי’ד. Earlier that morning, the town was literally a mess after כפרות. Everyone rushed to R’ Zishe who would then Shecht the chickens, ostensibly for the poor. But who wasn’t poor? When a tired and awe-struck R’ Zishe cried out אור זרוע לצדיק the walls evinced shock and awe. Even the Maskil or Bundist would be at Shule, and they too would tremble before מלך מלכי המלכים. Over the years, the remnants of that generation were liberally sprinkled among the pews. I remember when there were 40 or 50 people standing in aisles and at the door. I remember when there was even an overflow. This was the home of the survivor. This was a peek into their past. Yes, they drove to Shule (although those who had the strength avoided it on Yom Kippur or parked a distance away so that nobody would see that they were driving) but there they were, bedecked in a Tallis, and a tattered old Kapeloosh (fedora). Who wouldn’t come to Shule wearing a Kapeloosh? Comically, they would drive home wearing the Kapeloosh. But they were fasting. They were davening. It was Yom Kippur. Someone always fainted (G’Chalished). They knew how to navigate a Machzor. They didn’t need Rabbi Artscroll’s English guide to tell them when to start, when to stop, when to sing or when to cry. It was imbued indelibly. There was nobody announcing page numbers. There wasn’t even a need to standardise on a single Machzor. You wouldn’t see one of those “new” fangled English Machzorim issued by the British Empire. There was Tabik (snuff) and smelling salts. By the afternoon, bad breath was the order of the day. Just before Yizkor, the Shule seemed to double in number. The air was electric. R’ Chaim Gutnick ז’ל mesmerised and enfranchised everyone: young and old, sick and healthy, man and woman. After Yizkor, when, as a boy, I’d return to the Shule proper to see men and women with red weeping eyes. Like a time warp, it looked as though they had travelled back into the bosom of their departed loved ones, and been touched on their foreheads. The year after we were married, I was employed to daven in Wellington, New Zealand. It was a very English Shule (Routledge Machzor and all). No Piyutim were skipped. I had to say a separate Kel Moleh for each name on the Shule list. I can’t forget, though, the face of what seemed to be the only Poilishe Yid in the crowd. As I came down the steps exhausted from davening a Mussaf which finished at 5pm (they didn’t want a break because people might leave) an old yid, Mr Ryzman, in a tattered kapeloosh, smiled broadly revealing a motley set of teeth, and loudly said “Shekoyech”. I was later told that he rarely smiled, and had told others that he felt “in der heim”. I didn’t think much of all this at the time. It just seemed so normal and expected. Fast forward. Tonight, I will do exactly what I have always done. Regrettably, there will be very few Yidden in a Kapeloosh. Instead, we will have a more modern array of psychedelic yarmulkes perched on coiffured heads bearing testament to attendance at a flashy Bar Mitzvah or the like. There will be page announcements and new innovative speeches designed to make sure that people remain interested. Woman somehow will have forgotten that it is customary to have a head covering; even those who didn’t have a fancy hat wore a white scarf. But they are here. They have come. They have identified with their people. Davening will be lonely. The singing won’t be spine tinglingly inclusive. I will wait for the עולם to say their bits in response to mine. Alas, there will be comparative silence and an eery feeling of emptiness will envelop me. I’ve learned to cope emotionally somewhat, despite my perhaps extreme nostalgia, only by trying to daven in a more dispassionate way. But it’s Yom Kippur. That doesn’t seem right, does it? A version of this article was written for Elwood’s 75th anniversary. Chazan Levy z”l did not look at all well. Despite his ubiquitous gentle smile, he suddenly assumed a worrying demeanour that was a portent to his passing on Rosh Hashono over a year later. A year prior to his Petira, Elwood approached me to assume the role of chazan over the high holidays. The persistence of Fred Antman and my father eventually swayed me. Leading the prayers is more than putting on a Tallis and indulging in an operatic odyssey through traditional liturgy. One becomes the shaliach (messenger) of the congregation and on these days of awe, that responsibility continues to rest heavily. Acclimatisation to the role is probably contraindicated. As a member of second-generation holocaust survivors, my psyche is hopelessly infused with the existential tragedy of Jewish history. Elwood Shule was and remains a potent source of concentrated post-holocaust trauma that cannot be excised from my id. Booba Toba ע’’ה had posed the ﬁrst halachic question to the newly inducted Rabbi Chaim Gutnick z”l, standing at his door with a freshly slaughtered chicken in tow. Over 50 years ago, the young un-bearded Rabbi Gutnick’s ﬁrst ofﬁcial wedding at Elwood was that of my parents. He later also served as the sandek on my bris. Our familial ties to Elwood are entwined through a vibrant tradition. intoned those ancient tunes. Rabbi Chaim Gutnick expertly captured the moment with his unique emotion-laden oratory. In those days, congregants had an innate sense of holiness, irrespective of their level of observance, having been infused with a quality traditional Jewish education that equipped them to comfortably navigate the words of the machzor with sincerity and conviction. On a regular Shabbos, the array of characters was no less interesting to this lad. Pacing back and forth in the Beis Medrash the tall, hunched and sad man who seemed to sleep at Shule, was engaged in a frightening, surreal, and animated discussion with an SS officer threatening to abduct his wife and children. I was to learn that this traumatic experience was true and had led a once highly intelligent man to be reduced to a haunting ﬁgure who “talked to himself.” An indelible picture was etched. The shorter man, dressed in a stained, dark, and sombre suit, lived in a bungalow behind the shule. Davening with the aid of a magnifying glass, we were terriﬁed with his angry countenance, not to mention the acidic yiddish invective that materialised if we got “too close”. The “political cabinet” consisting of a set of quasi ministers (aka mispallelim) sat at the back of the shule. The State of Israel and its geopolitical place was the inescapable weekly topic. From the mayvens who were never wrong, to the quiet observers who occasionally piped up with a solution to the problems of the world, shabbos davening functioned as a social event, where survivors from different parts of Europe were drawn together at the back of a Shule in Elwood, in free Australia. My public singing probably began at Chedva. I vividly recall Reb Shmuel Althaus z”l himself an accomplished Baal T’ﬁlla, encouraging me to sing “Moscow Nights” as I was hoisted onto a table to the delight of a fashionable array of diners. Rabbi Groner z”l was another source of inspiration, and I was to become a soloist in the Yeshivah Choir. My ﬁrst “gig” was singing with the Italian band Los Latinos at my cousin Leiba’s wedding, perched on my Uncle Ya’acov’s ז’ל shoulders. It was time to begin the preparation for my Bar Mitzvah. I could never have imagined how that experience would unfold. My father, knowing that I was blessed with a voice, approached Chazan Adler ז’ל to instruct me. I had learned to play violin for several years and acquired an appreciation of music. Many of Chazan Adler’s tunes had found a home in my subconscious iTunes library. We used to meet in the boardroom. The lessons were uneventful. Somehow, as Yom Tov approached, I found myself having lessons at Chazan Adler’s ﬂat in Dickens Street. It was small and cosy. The Chazente, Mrs Adler ע’’ה was always cooking something aromatic. We seemed to run through the Bar Mitzvah lesson quickly. After that, Chazan Adler would search among his folders of chazonus. He never used his “full” voice, always practising in falsetto. On occasion, he would insert magic spray into his throat. For a little boy, this scene bordered on the comical. The Bar Mitzvah lesson had effectively ended; what was I still doing there? After setting the key with his pitchfork, Chazan Adler would begin. Peering over his shoulder, I became aware that he was singing directly from notes. As if I hadn’t had enough of violin lessons; I was now confronted with another musical challenge. I learned how to warm-up my voice (although I use less conventional methods these days before and during a Simcha) and how to practice breathing properly. I was blessed with a decent musical memory and still remember Chazan Adler singing Hasom Nafsheinu with the band at my own Bar Mitzvah. Although this was a new song that I haven’t heard since, I still vividly hear him. On one occasion, Chazan Adler began singing Odom Yesodo Me-ofor. I recognised the tune, as it had been used in the previous year. Instinctively, I began to harmonise, after which a broad smile broke out on his face. Mrs Adler was also listening at the doorway. Sadly, the Chazan and his wife were childless and I was to later learn from Rabbi Groner ז’ל, that this was a source of great pain for the Adlers. Rabbi Groner recalled he once covered for Rabbi Gutnick when the latter was overseas, and that Chazan Adler had indulged in a lengthy piece during Ahava Raba wherein the Chazan poured out his soul with bitter tears because they were childless. Rabbi Groner remarked that he could still feel the hairs on his neck standing during that piece. After cajoling and parental encouragement, I found myself at the Bima singing a few pieces with the Chazan on the high holidays. Chazan Adler was clever. I remember how he had me commence Unesane Tokef in my as yet unbroken voice. Normally this would have been at his lower register because of the octave jump at Ki Hu Noiro. Because I started the stanza, I could also sing the beginning at the top of my register, after which Chazan Adler could take over in a more comfortable key. During my own davening each year I still use this same tune, although I have to always remember to start low to achieve the octaval bump. My Bar Mitzvah arrived. The Shule faced a different direction in those days. Putting on my Zeyda Yidel’s ז’ל Tallis, I nervously ascended to the bima standing on a wooden step so that my small frame was able to see the words of the Torah. My job was somewhat easier because there were many extra aliyos, I had time to look at the next few verses and revise. It was only natural that our sons Tzvi Yehuda and most recently Yossi would also have their Bar Mitzvahs in the same shule and on the same bima. Happily, they both didn’t require that wooden step, being taller. After my Bar Mitzvah I sang with Chazan Adler for one more year. Much to my father’s disappointment, I didn’t want to continue with singing lessons. Apart from lessons involving violin, school, gym and swimming, I couldn’t understand why I had to be different to other boys. Did they have singing lessons? Did they have to accompany the Chazan on high holidays? Footy, soccer and cricket beckoned. Chazan Adler was to later remind my father “I could have taught him more.” It never remotely occurred to me, back then, that I would be enlisted some 30 years later as the Chazan on high holidays. I still hear my father reminding me of Chazan Adler’s words as we walked the “long way” home every second shabbos. Those walks were an experience. We’d start with Kiddush at my great-uncle Avrohom’s ז’ל house in Avoca Court. We’d then snake our way to Zevke’s house. Zevke z”l, whose daughter was a pop singer, sold toys and if I was a “good” boy at Shule my father allowed me to go into Zevke’s house and see what was “new”. Every now and again, a toy found its way into our home, ﬁrst at “The Avenue” and then at “Rockbrook Road”. After Zevke’s, we’d drop off the famed butcher Mr Kramer, and the entourage would continue towards Carlisle Street. The pace could only be described as “leisurely”. Apart from the fact that my Uncle Ya’acov z”l had sore legs on account of poor blood ﬂow, Carlisle Street presented shop-after-shop selling shmattes. We’d stop, and the entourage would peer at the stock and prices nisht shabbes geret and then take a few more steps. I was so bored! Why didn’t we go home directly? It was a privilege, in retrospect, when the unassuming Tzadik Reb Chaim Yaffe z”l would accompany us on those walks. He was a profound Talmid Chochom but he was an even bigger mench. As I reminisce, he reminds me very much of Rav Abaranok z”l another teacher of mine who was also a giant when it came to exemplary and unassuming menchlichkeit. My last conversation with Chazan Adler occurred only a few days before his passing. Chazan Adler was living in a Jewish old-age home in Vienna. Rabbi Chaim Gutnick had just passed away a few weeks earlier. Sitting in my office at RMIT, I impulsively rang the Chazan. After a few failed attempts we spoke. He was overjoyed to speak with me and asked about the well being of a host of congregants. It became clear in the course of our conversation that he had not heard of Rabbi Gutnick’s passing, so I had the odious duty to inform him. The Chazan’s pained krechtzing in response to the news forms another picture at the exhibition. Eerily, it was only a few short days after the phone conversation that I was to learn of Chazan Adler‘s own passing. Chazan Adler lives on! I almost exclusively sing his tunes each year. These and other “pictures at the exhibition” influenced and continue to shape the thoughts that go through my mind. Regards from Kuala Lumpur where Lehavdil someone is doing chazonus through a loudspeaker for a different religion and driving me bonkers.